Imagine being a highly educated woman with a beautiful family, a promising career, and a bright future. Now, imagine having to leave all of that behind in a matter of terror-filled seconds. This is the story, the reality, of Consolata, a once powerful female political figure in the Democratic Republic of Congo. As a prominent woman in politics, Consolata held many significant roles such as being a secretary of the Professional Council for Women in South Kivu, one of 26 provinces in the DRC, to being a leader of the political party National Union for the Defense of Rights of Unemployed where she was the only female leader of a political party in the country. Moreover, being the former principal of a school with over a thousand students, Consolata always understood the importance of information and culture and the ability to access these tools. 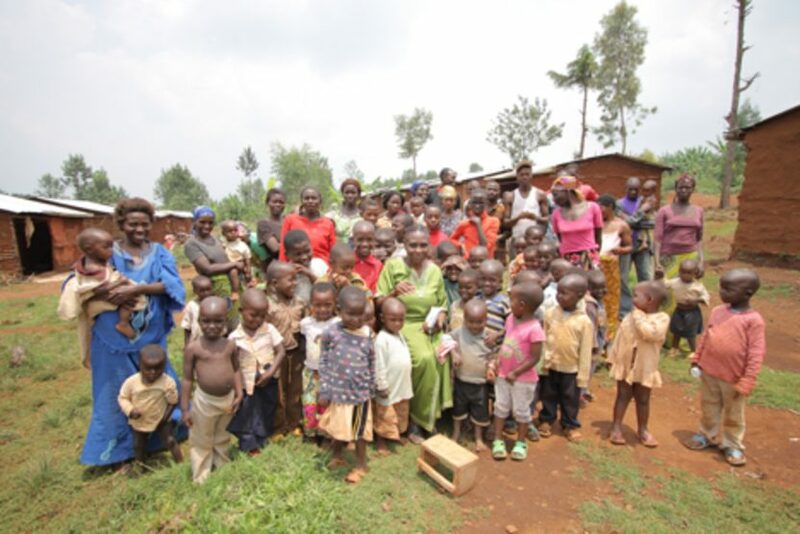 Due to the political instability of the Democratic Republic of Congo, which included corruption and numerous human rights violations, Consolata was forced to leave her old life behind and seek refuge in the Kamuvu refugee camp, where she lives alone, separated from her husband and eight children. Consolata notes the difficulty of connecting with the outside world, where even making a simple phone call is rendered impossible due to the state of the telephone in the DRC. However, the deployment of the Ideas Box to the Kamuvu Camp gave Consolata a newfound hope of being reconnected to the outside world, including having access to information and culture. The Ideas Box, which can connect to the internet via satellite, contains 4 laptops, 15 touchscreen tablets, 50 electronic readers, 300 hard-copy books, a cinema module with video production equipment, board and video games, toys, puppets, theatre supplies, as well as light furniture for all ages. Each Ideas Box is curated to fit the needs of the community and culture it is serving, taking into account regional languages and the community’s objectives. In addition, the Ideas Box is designed to eventually be under full ownership of the community it is serving to promote continuous learning, utilization, and modification. The introduction of the Ideas Box in the Kamuvu Camp has not only brought access to information and culture, but also has acted a safe haven, a place of normalcy where its users of all ages have gained a sense of empowerment and community, two important aspects of a healthy, conflict-free environment. With culturally curated tools and activities tailored to fit the needs expressed by the local community, the Ideas Box is targeted to aid the most vulnerable populations gain access to information and culture, bringing together a community ravaged by crisis and disaster in order to restore in them a sense of normalcy and, above all, peace.